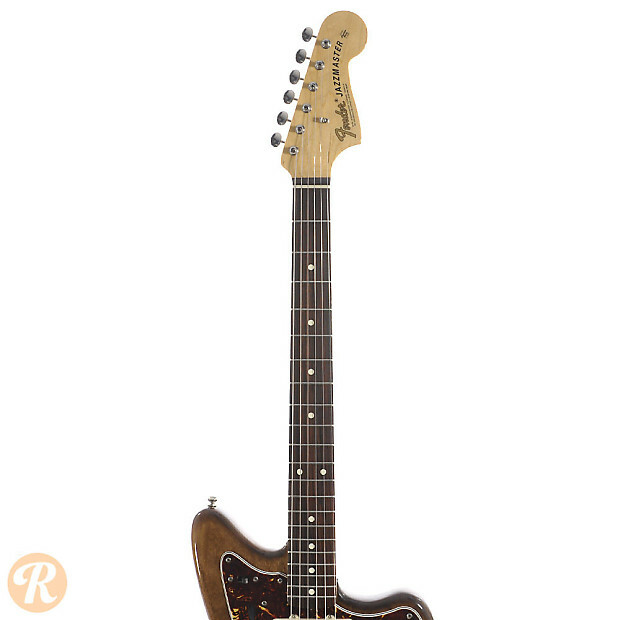 The Elvis Costello Signature Jazzmaster was modeled on Costello's original guitar that can been seen on the cover of his album '77, My Aim is True. 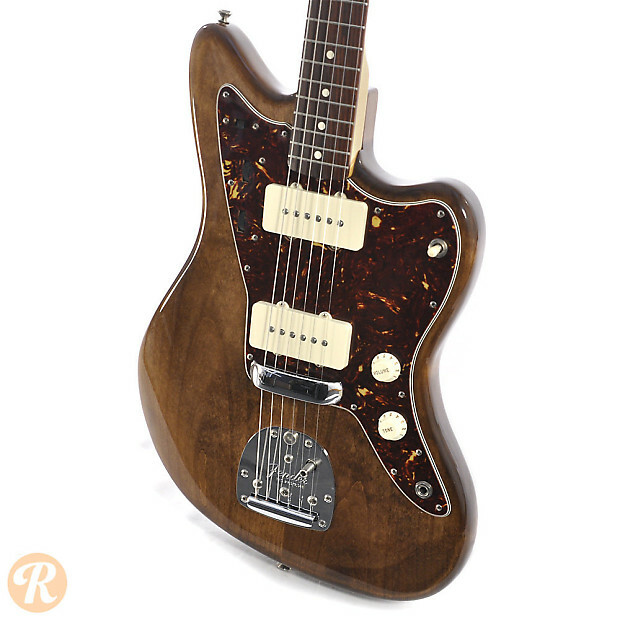 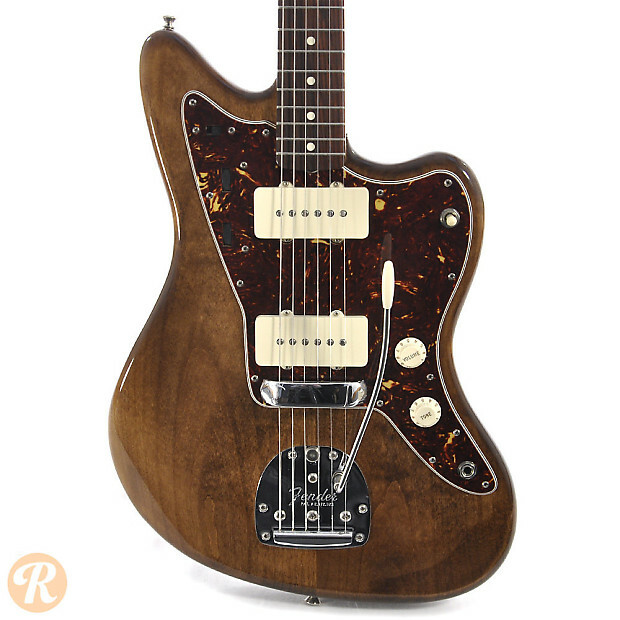 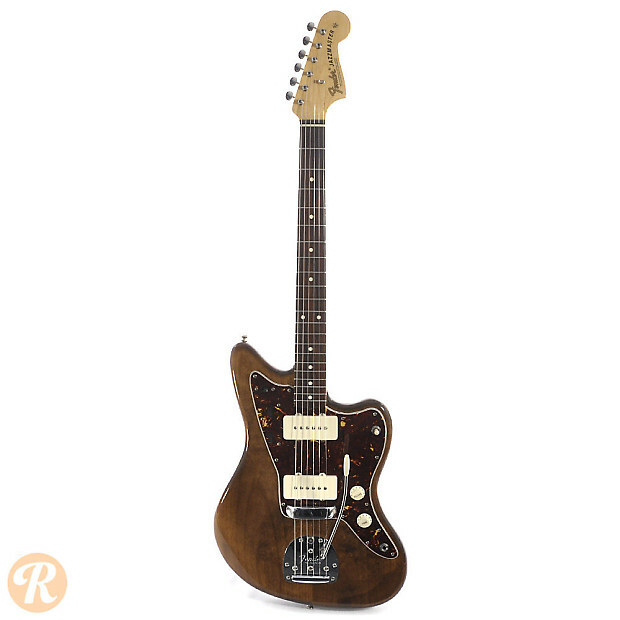 This guitar included the normal Jazzmaster features with a floating tremolo bridge and soapbar pickups. 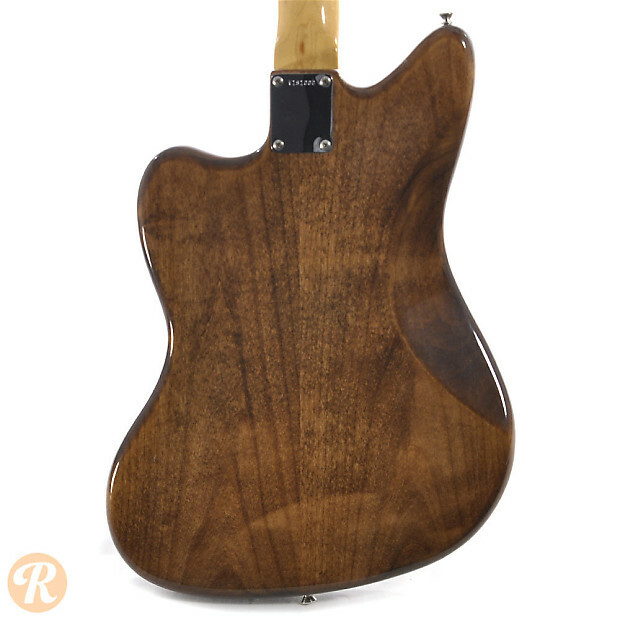 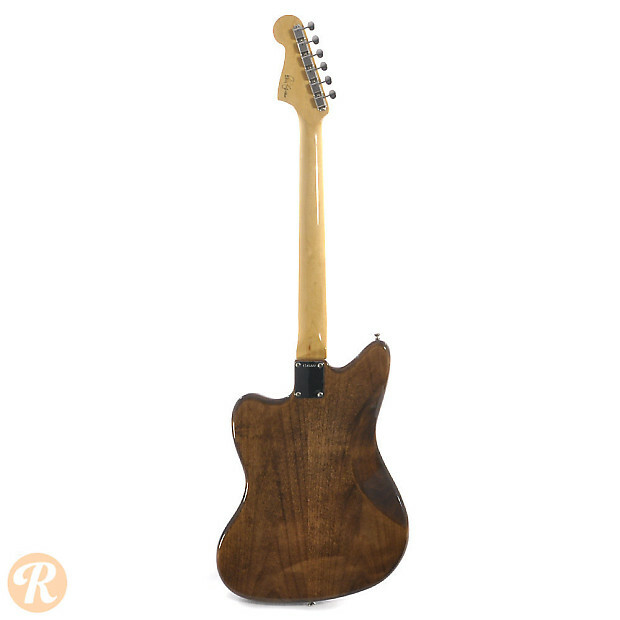 The Walnut stain finish also replicates that of Costello's original guitar.